About 95% of all jury trials in the world take place in the United States. 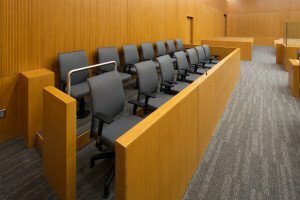 The jury system is a very important part of the court process in Colorado. The opportunity to serve on a jury allows you to become better informed about your courts and the law. Citizens who serve as jurors usually feel a sense of pride and respect for our system of justice. Since 1990, Colorado law has made jury service more convenient by using a one day/one trial system. This means that, in each calendar year, persons summoned for jury service must serve only one day or, if selected for a trial, for the length of that trial. In addition, the Judicial Branch has been working to further reform the jury system. Changes are being made that are designed to ensure that jurors are treated with appropriate respect and courtesy, improve the quality of the jury decision-making process, and increase the overall efficiency of the system.